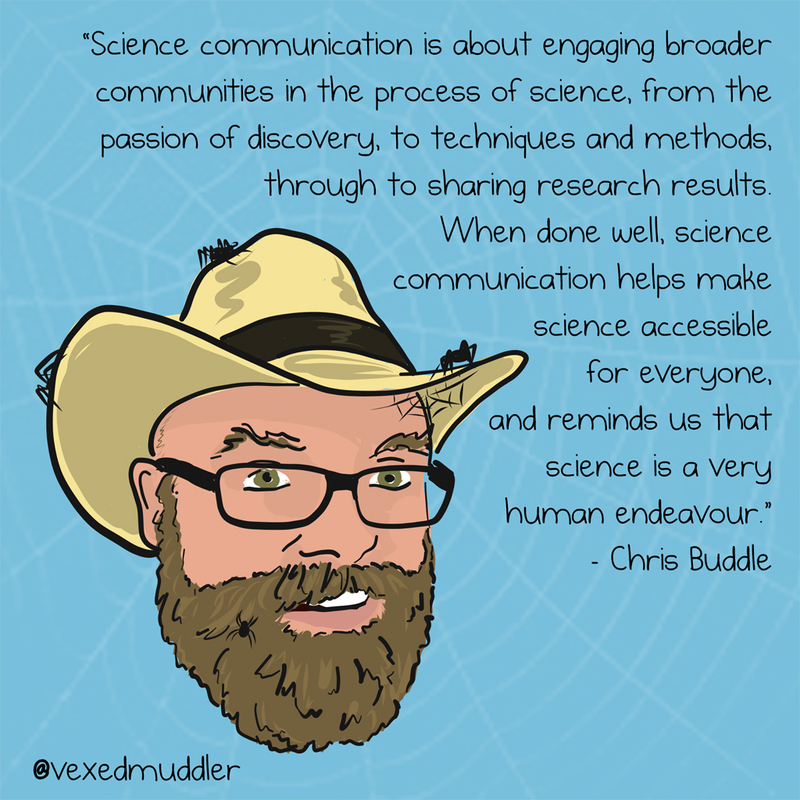 “Science communication is about engaging broader communities in the process of science, from the passion of discovery, to techniques and methods, through to sharing research results. When done well, science communication helps make science accessible for everyone, and reminds us that science is a very human endeavour.” – Chris Buddle, Dean of Students and associate professor at McGill University. Originally posted on October 5, 2016.